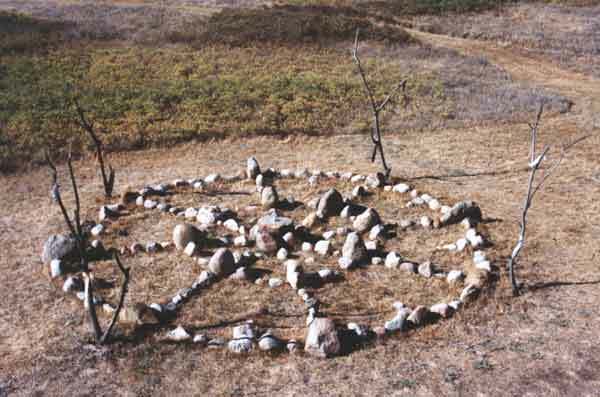 Our 20 foot Medicine Wheel is available for group ceremony or for private experience.Come and feel its energies as it helps you reconnect to the land. "The Medicine Wheel is a magic circle that encompasses all of 'that World' (the wisdom of nature). As you journey around it, you will find wonders both within and without. With tenacity you will even discover the wonder of knowing about yourself; who you are, what you know, and what you can do in this lifetime. The native people knew about this magic circle. They respected it and used it often in their everyday lives so they would always remember all of the things that they had learned." -"The Medicine Wheel" by Sun bear, Wabun.